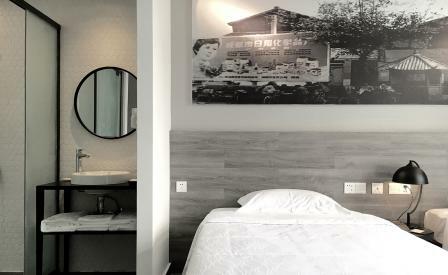 The City Inn in Chengdu in China’s Sichuan province is a good case study of what can be achieved on a relatively low budget if the creative impulses are calibrated just so. Located right next to Kuanzhai Alley – one of the city’s most popular sightseeing spots – the 130-room hotel opened in 2008, time enough for a spruce-up. Fresh off his stint working on Chengdu’s Fangsuo bookstore, the Taiwanese designer Chu Chih-Kang was tapped for the project. Inspired by the neighbourhood – much of it dating back to the Qing dynasty – Chu was keen to inject local flavour into the space, specifically as a modern art gallery. The in-house dining options are limited, but the greedy grab of nearby traditional tea-houses, street market and restaurants, including Zhuyuan which serves up beef sautéed with chilli oil, are tasty alternatives.